1. Go to the manager’s desk on your first visit. It’s on the main grocery floor and they will give you a copy of their entire list of gluten-free items. They are super nice and helpful and it’s great to carry this list around the first few times you shop there or if you are new to gluten-free shopping! 2. Look for their gluten-free symbol on some packaged food items. These are sure to be gluten-free. Read the ingredients for items without the symbol and use your own best judgement. I find many items that are not labeled but to my knowledge, seem gluten-free. Note that items will include a disclaimer if they are processed in facilities or on shared equipment with wheat. 3. Check out the frozen food aisle. Some of my favorite items are the gluten-free toaster waffles, which are much cheaper than the ones in traditional grocery stores. There’s a number of other treats you may find in that section too!!! I also stock up on frozen fruit for smoothies. 4. If you’re a snacker, like me, you will love their nuts and dried fruit section! No sugar added, no sulfur dried mango! Delicious. Near-by you can usually find their nitrate-free beef jerky– inexpensive, gluten-free and a great snack for the car or such. 5. If you tolerate dairy, there’s lots of organic (and non-organic) dairy options (although I try to buy Vermont products when I can!!!). 7. Sauces. Korma simmer sauce. Artichoke dip. You will find your favorites. 8. Gluten-free baking mixes. Sometimes hidden on a low self, TJ’s GF brownie mixes are delish. Try them out and search for other mixes to try out. So, explore and have fun!!! Find your favorite gluten-free options and let us know about them in the comments section! 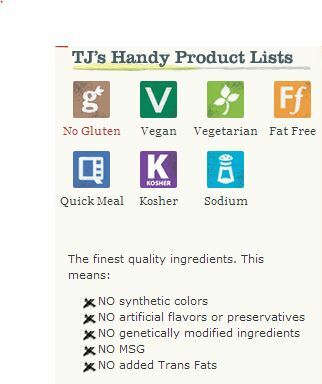 This entry was posted in Baking, Burlington, Grocery Stores and tagged gluten free, gluten free shopping, gluten-free symbol, trader joes on May 16, 2014 by gfvermont. JumpOnIt deal– $20 of GF baked goods for $10!!! Get on over to JumpOnIt and get your discount for the most delicious, gluten-free, baked goods in Chittenden County! Hurry before the offer disappears! This entry was posted in Burlington, Grocery Stores, News on January 14, 2014 by gfvermont. Trader Joe’s underway in South Burlington, VT! If you’ve been down Dorset street lately, you’ve seen a big change. Today, bare ground lays at the future site of Vermont’s first Trader Joe’s. Located next to Healthy Living, this will be a great boon for gluten-free residents. Why, you ask? Perhaps you’ve never been to a Trader Joe’s. Let me give you a tour, from the perspective of a Celiac. First, if you stop by the manager’s counter, you can pick up the “No gluten ingredients used” list. to make your shopping easier. Always read the fine print though– some items are manufactured in facilities that also use wheat so you may want to avoid them if you have sensitivities like that. And not all items have the symbol (depends when the packing was last re-designed, I suppose). Next, my personal recommendations– skip the produce section. You can do much better at the farmer’s market or some of our supermarkets that do direct purchases from local farmers. It’s just much fresher food. According to WCAX, Trader Joe’s will open next Spring. This entry was posted in Burlington, Grocery Stores, Labeling, News and tagged GF labeling, trader joes on September 5, 2013 by gfvermont. 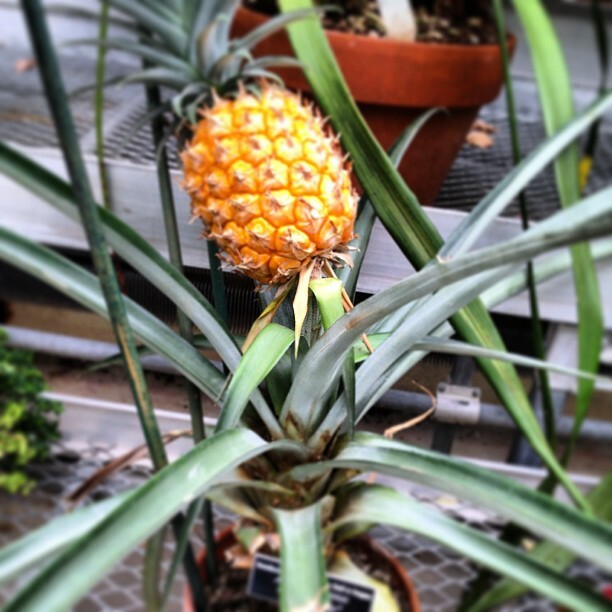 In addition to this lovely pineapple growing in the conservancy, there are lots of flowers and vegetable starts for sale. Six packs of peppers (all types! ), basil, tomatoes (including my fav, sungolds), cucumbers and much more. Can’t find better prices on veggie starts! This entry was posted in Burlington, Real Foods, Vermont products and tagged cucumber, peppers, pineapple, tomato, UVM on June 13, 2013 by gfvermont. It’s 60 degrees and raining. My jaw aches (maybe its the rain?) and I want something easy to eat. My gluten-free Mom is visiting and we wander into Zabby & Elf’s Stone Soup to find warm Thai Carrot Soup (sub kale or brown rice for bread!). Top it off with a Hibiscus- Chamomile-Mint tea and we’re feelin’ warm and cozy! This entry was posted in Burlington, Drinks, Prepared foods, Vermont products, Vermont restuarants and tagged carrots, soup, Stone Soup, tea, thai, Zabby & Elf's on June 12, 2013 by gfvermont. South Burlington’s City Council unanimously voted to approve Trader Joe’s store and restaurant on South Dorset street. Looks like we should have a TJs in the next year! Anyone been to a TJs restaurant??? Very curious to her more about that but in the meantime, I’m excited to have another GF grocery option coming soon to VT! This entry was posted in Burlington, Grocery Stores, Vermont restuarants on May 8, 2013 by gfvermont.